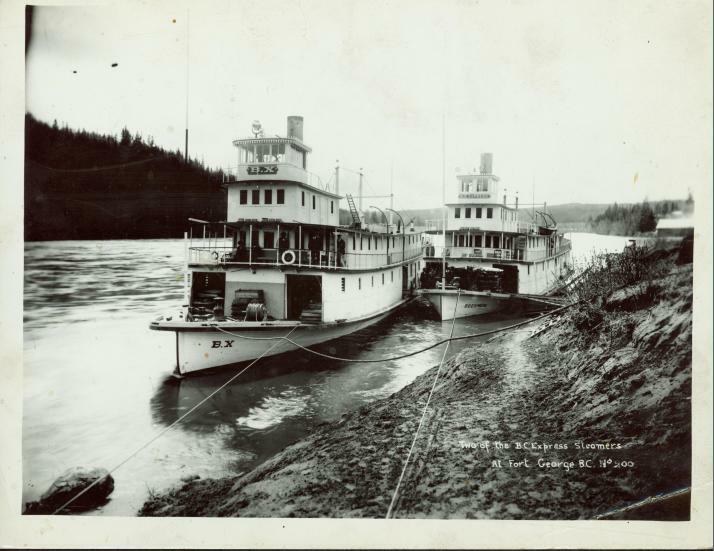 Two steamships tied to the shores of the Fraser River at Fort George. Steamships are: B.X. and B.C. Express.